A State Department report gives Obama political cover if he chooses to endorse the pipeline in spite of opposition from some Democrats and environmental groups. WASHINGTON — The long-delayed Keystone XL oil pipeline cleared a major hurdle toward approval Friday, a serious blow to environmentalists’ hopes that President Barack Obama will block the controversial project running more than 1,000 miles from Canada through the heart of the U.S. 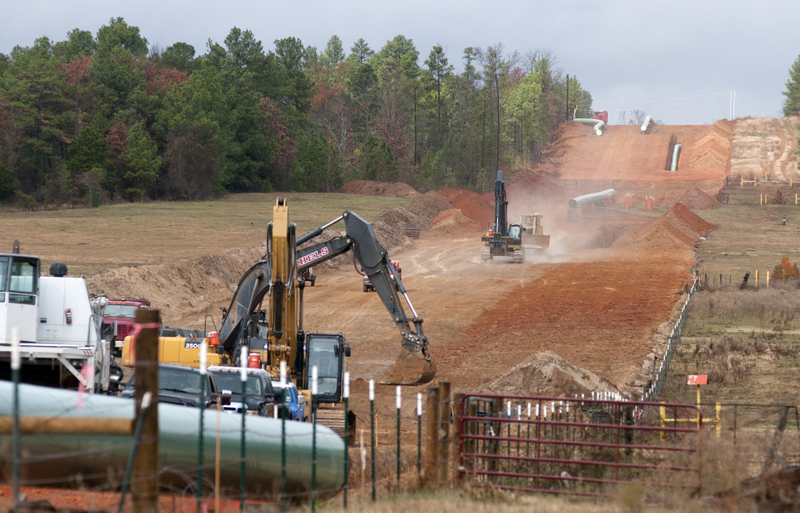 The State Department reported no major environmental objections to the proposed $7 billion pipeline, which has become a symbol of the political debate over climate change. Republicans and some oil- and gas-producing states in the U.S. — as well as Canada’s minister of natural resources — cheered the report, but it further rankled environmentalists already at odds with Obama and his energy policy. The report stops short of recommending approval of the pipeline, but the review gives Obama new support if he chooses to endorse it in spite of opposition from many Democrats and environmental groups. Foes say the pipeline would carry “dirty oil” that contributes to global warming, and they also express concern about possible spills. 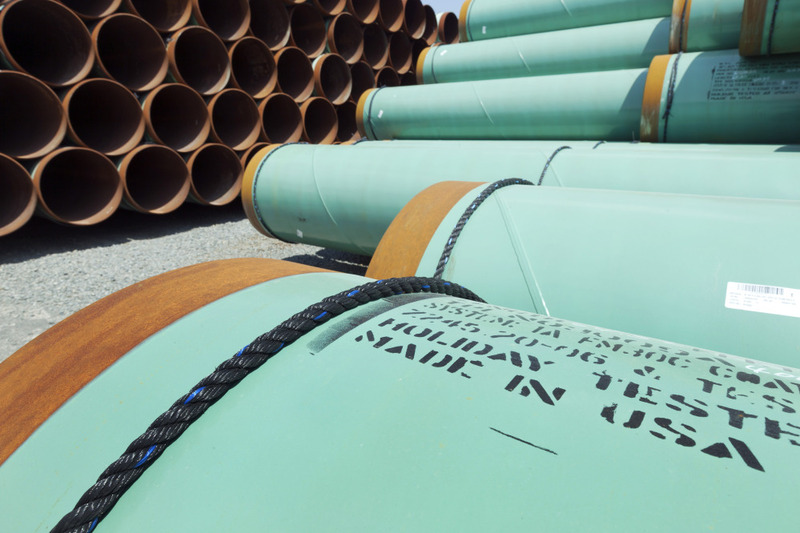 Republicans and business and labor groups have urged Obama to approve the pipeline to create thousands of jobs and move toward North American energy independence. The pipeline is also strongly supported by Democrats in oil and gas-producing states, including Sens. Mary Landrieu of Louisiana, Mark Begich of Alaska and Mark Pryor of Arkansas. All face re-election this year and could be politically damaged by rejection of the pipeline. Republican Mitt Romney carried all three states in the 2012 presidential election. The 1,179-mile pipeline would travel through the heart of the United States, carrying oil derived from tar sands in western Canada to a hub in Nebraska, where it would connect with existing pipelines to carry more than 800,000 barrels of crude oil a day to refineries in Texas. It would cross Montana and South Dakota before reaching Nebraska. An existing spur runs through Kansas and Oklahoma to Texas. Canadian tar sands are likely to be developed regardless of U.S. action on the pipeline, the report said, and other options to get the oil from Canada to Gulf Coast refineries — including rail, trucks and barges — would be worse for climate change. “Piping the dirtiest oil on the planet through the heart of America would endanger our farms, our communities, our fresh water and our climate. That is absolutely not in our national interest,” said Susan Casey-Lefkowitz, the NRDC’s international program director. The new report comes only days after Obama’s State of the Union address, in which he reiterated his support for an “all-of-the-above” energy strategy that embraces a wide range of sources, from oil and natural gas to renewables such as wind and solar power. The remarks were a rebuff to some of his environmental allies who argued that Obama’s support of expanded oil and gas production doesn’t make sense for a president who wants to reduce pollution linked to global warming. The latest environmental review, the fifth released on the project since 2010 — acknowledges that development of tar sands in Alberta would create greenhouse gases, a State Department official said. But the report makes clear that other methods of transporting the oil — including rail, trucks and barges — would release more greenhouse gases that contribute to global warming than the pipeline. Several accidents involving crude oil shipments — including a fiery explosion in North Dakota and an explosion that killed 47 people in Canada last year — have raised alarms.